​Please note we ALWAYS take our cats back if they do not work out in the home. ​We strive to find lifetime commitments for our kitties, who have been loved and well-taken care of by their foster families. - A complete adoption application submitted via our website. - We do not do same-day adoptions. ​- Adopters MUST be 21 years of age. ​- Landlord approval for all applicants leasing or renting their home. ​- All adopters must sign a contract agreeing they will not declaw their cat or physically alter their cats in any way. ​- We reserve the right to perform a home visit prior to adoption approval. ​- All cats must be INDOOR cats only. - You must be able and willing to spend the time and money necessary to provide training, medical treatment and proper care for a pet for the entire life of that animal. - All current pets (dogs and cats) must be current on their vaccinations unless there is a health reason why they can't be vaccinated (other than rabies vaccination). We understand health concerns with FVRCP vaccinations so please be sure to discuss this with us if it is a concern for you. 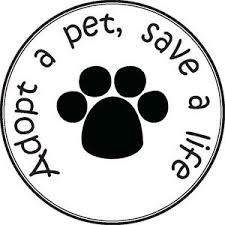 -All owned pets (dogs and cats) at the home (inside and outside) MUST be spayed/neutered unless there is a health reason provided by the veterinarian why they cannot be. 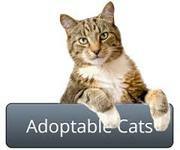 - Adopter must own a cat carrier. All cats must be transported in a pet carrier. as your next companion animal! We do not share or sell your information to any third parties. Please understand that we will check all references, including vet references. Home visits are required as part of the adoption process. Please be sure to read the Adoption Application thoroughly and answer all questions to ensure our adoption coordinators receive all the information necessary to process your application in a timely manner.